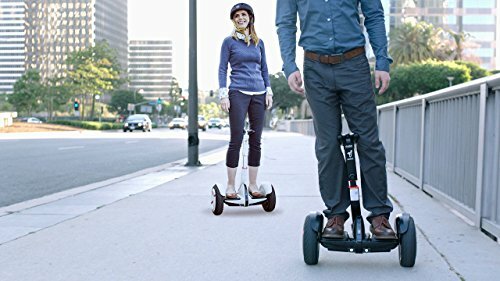 There are many hoverboards on the market today that you can choose from and one of them is the Segway MiniPro that is very dominant where consumer products are concerned. This battery operated device has an array of features that you just cannot afford to miss out on. It is appealing to savvy consumers like you to own and you can ride it very easily. It is in the category of the world’s leading brands of luxury hoverboards and yet, it is in a class all by itself. 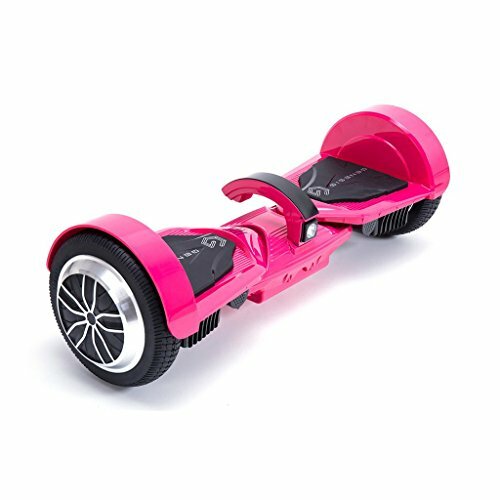 As competition runs high in the hoverboard market, choosing a suitable electric device that you can ride to cover short distances and for entertainment purposes might just become difficult for you. 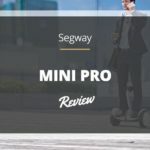 Knowing that the Segway MiniPro is the one for you is a great way to cut down on the various buying options you have. 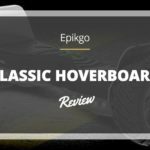 Therefore, this review will help you decide as to whether the device mentioned is the one for you or if you should try finding something else in the hoverboard industry. Knowing the pros from the cons will give you a bigger picture and you will be able to make your choice of better choosing the right mechanism. With any new or old device, features are a major concern to look out for. This mobile transporter is an efficient tool to have so you can get around the smart way. You can take rides and cover some distance with it such as to the office or grocery store. The material it is made from is sturdy and you need not worry about comfort because it is designed to please in every way. Owning this magnificent smart transporter will put you in a class of people who knows how to have fun, even when traveling from one location to the next. Read on and learn the different features the Segway machinery has so you can better understand how it functions. The Segway MiniPro mobile app transporter has all the features you will need to get to where you are going in one piece. It is made from various materials such as a magnesium alloy that manufacturers use to construct aircrafts. Since it is so properly constructed, it can absorb shock easily. The tires are inflatable and able to absorb shock as well so you can always have a smooth ride whenever you choose to take a spin and wherever you decide to go. The manufacturer designed the transporter to work in a safe mode so you do not have to worry about getting major injury from falling. 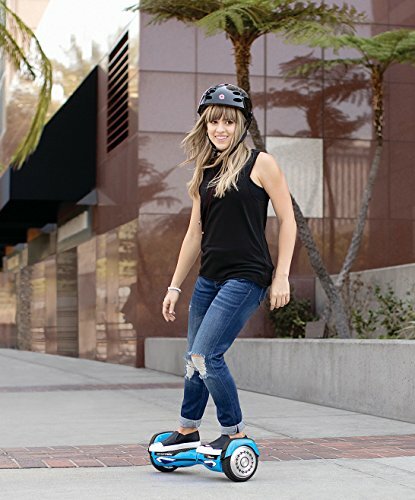 However, if you are a beginner rider, Segway advices that you ride in a safe way by wearing a protective helmet and riding in safe areas such as on dry ground as well as in non-traffic places. This MiniPro is gathering tremendous momentum in the marketplace and is already a favorite among adults and many teens. Without a doubt it will be one of the most sought after mechanism in years to come and owning it will boost your fun in the right direction. What better way to ride and enjoy life than by using a MiniPro to get you where you are going. When comparing with the Genesis H1 Gemini hoverboard with the product, the MiniPro was found to be better working machinery than it. For one, the Gemini can only cover a 12 miles radius while the MiniPro goes up to 14 miles. If distance is a major concern of yours, then the MiniPro is your way out. Segway gives you air-filled tires of 10.5 inch thickness while the Genesis H1 offers a tire load of 7.5 inches. For some people, the larger tire variations can be a big deal because it makes them feel more in control, while for others it does not make a difference. You will feel something bigger under your feet if you choose the Pro or you may rather feel the smaller wheel taking you places, the choice is yours. One thing is certain though, both mini hoverboards will get you where you are going. We also compared the Razor Hovertrax 2.0 self-balancing hoverboard against the Pro and found it come up a bit wanting as well. Razor Hovertrax has 8 miles per hour cruising speed while the Pro gives you up to 10 miles per hour. This means the Pro has faster mobility. Therefore, if you want to get where you are going faster, the MIniPro is your ticket to a quicker journey. The Razor’s run time goes up to 60 minutes before requiring a battery charge. Since the Pro can go up to 14 miles, it has a greater run time than the Razor Hovertrax will give you. Based on the comparisons of the Pro with the Gemini and Hovertrax 2.0, it can safely be said that the Pro has the greater product advantage over the two. We give the MiniPro a four out five rating so far. One of the most outstanding features that stand out is that the Pro can go at a faster rate and can even deal with hilly terrains better. The distance it covers is longer than other mini transporters in its niche and thus you can do without charging the batteries for longer periods. In addition, for a smoother ride, the wheels are bigger and stronger to withstand any shock it might get along the way. This is a better riding scooter than most others in its niche that are selling on the market today. The Segway MiniPro mobile app transporter is here to stay. It is a really cool merchandise to own and you will not feel cheated after buying it. It provides all the necessities you need to get around and it puts the fun in your day as well. This product is a winner and riding or driving it will make you feel like a winner as well.